After over two years of a complete media embargo, the comprehensive gag order placed on the case of "Prisoner X," now known as Ben Zygier/Alon has been partially lifted. The Justice Ministry's official statement in the matter makes no mention of Zygier's name, but it does admit – for the first time – that a man held in a maximum security prison died while in Israel's custody and that the death was ruled a suicide. The official statement cleared for publication only a few details: "For security reasons, the prisoner was held under a pseudonym, but his family was notified of the arrest immediately." "The prisoner was held by proxy of an arrest warrant issued by the court. The proceedings were overseen by senior officials in the Justice Ministry and he was duly represented in all the proceedings against him by attorneys Roi Belcher, Moshe Mazor and Boaz Ben-Zur. "The prisoner's legal rights were observes at all times, according to the law," the statement said. The State further said that "The prisoner in question was found dead in his cell two years ago. Judge Daphna Blatman Kedrai, serving as president of the Rishon LeZion Magistrate's Court, ordered an inquiry into his death, in accordance with the Inquest of Death Law (1958). "During this proceeding, a writ ordering it be held behind closed doors was issued. The order still stands." The Justice Ministry's statement said that six weeks ago, the investigation had ruled the prisoner's death a suicide, however, the judge recommended that the State pursue a negligence investigation in the matter. "National security prevents the release of any other details in this case," the statement said. "These aspect of national security have been reviewed by the Central District Court, which decided to impose a comprehensive gag order on the case. "The order was given at the request of the defense establishment, and was approved by the Justice Ministry." According to information obtained by Ynet, the State deemed the case so sensitive that astringent legal measures were applied to it, to the points were all possible measures were taken to have its records sealed. "Prisoner X" was officially indicted on March 4, 2010, before the Central District Court. Deemed a "highly classified security case," the hearing was held behind closed doors and any minutes taken – if they were taken at all – were immediately deposited in the court's vault. The details of the indictment remain classified, as do any details regarding the hearings in the case, which was officially adjudicated on March 10. No information is available on whether the court ruled on the matter or closed the case over a technicality. Moreover, Zygier's defense attorneys – as well as his family – were required to sign confidentially and nondisclosure agreements vis-à-vis the State; which now prevents them from confirming or denying any of the details. The inquest into Zygier's death was also deemed classified and subsequently sealed. 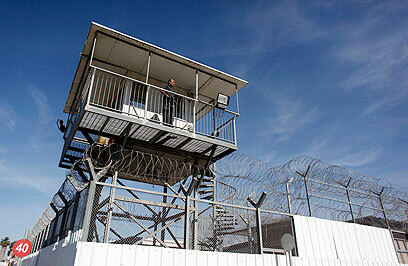 A senior Jerusalem source told Ynet that "The State's legal conduct was proper. We crossed all the T's and dotted all the I's – that's why the family is not saying anything. They knew what was going on every step of the way." The decision to revise the gag order was made after lengthy consultation by top legal, security and government officials and Prime Minister Benjamin Netanyahu was involved in the process, he added. "The public's right to know was also taken into account, especially given the publications by foreign media." The State Prosecutor's Office added that given that "The State made the decision to release solid, founded information, rather that having the public swayed by rumors and disinformation, which – barring an official statement – might be perceived as the reality." Top Israeli civil and human rights lawyer Avigdor Feldman told Ynet Wednesday that "I'm the last lawyer who saw him alive. They asked me to see him and a day after that he was gone. "When I saw him, I saw no signs that he was going to kill himself. He sounded rational and he asked pertinent legal questions, that I can't expand on." It was also disclosed that an appeal filed over the gag order by the Association for Civil Rights in Israel was later rescinded by the ACRI at the Supreme Court's recommendation. 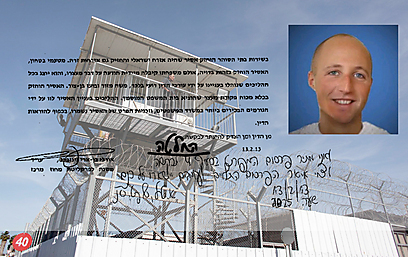 ACRI Chief Legal Counsel Attorney Dan Yakir told Ynet that the group filed a motion to lift the gag order in 2011, following rumors of "Prisoner X" death. "Our motion with the Central District Court was denied and we appealed to the Supreme Court. It heard us, as well as several security officials. Following classified information produced in court, we were advised to strike the appeal. Following this advice, and in order to avoid a detrimental legal ruling, we agreed." Yakir added that "It was during the hearing that we learned that an inquest was in progress. It was a lengthy process that eventually ruled the death a suicide, but no other details were given to us. "As for the question of negligence – how can it be that a prisoner held in a prison's most secure commits suicide?" Commenting on the Justice Ministry' statement in the case, which some critics have already said was semi-forces due to the international attention the case has garnered, Yakir said that, "This is exactly what we argued two years ago – that these details are important and that they pose no risk to national security. "Unfortunately, we were denied but today's statement proves that we were right, regardless of whatever the security concerns in the case were." See all talkbacks "Israel acknowledges 'Prisoner X' existence "